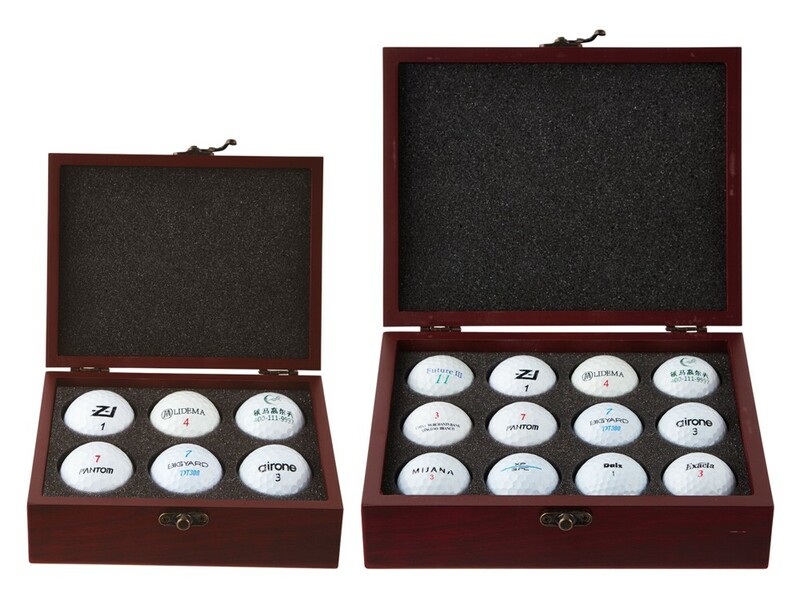 Personalised Engraved Wooden Golf Ball Gift Box. Rosewood Finish Wooden Gift Box. The Wooden Gift Box is available in 2 sizes, 70 x 195 x 110mm (6 ball) and 70 x 215 x 165mm (12 ball). It has foam padding inside the lid and has an antique gold clasp fixing on the front of the box. The engraving will be done on an engraved 50 x 25mm plate and attached to the top of the Wooden Box. PLEASE NOTE: The Golf Balls are not included. These are perfect gifts for the Best Man, Usher, Father of the Bride/Groom on your Wedding Day, they also make great Birthday, Fathers Day Anniversary and Christmas presents.